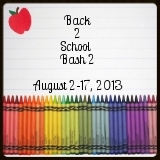 Hey~ Welcome to the Back 2 School Bash 2 Giveaway Event (we participated in this last year as a new blog and loved it so we are back!) It is hosted by Andersons Angels and Joy of Momma Joyner. This Event features a little bit of everything you need to send your kids back to school from preschool through college! Each blog has gathered up a unique Back 2 School Prize Package of $25 or more so be sure to visit each blog from the linky below and enter for your chance to win some really amazing prizes! This event will end on August 17th at 11:59pm EST. Mom To Grandma has 2 awesome sponsors. 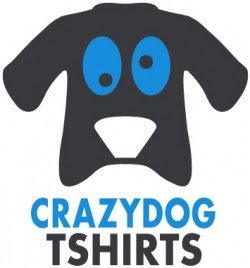 First CrazyDog T Shirts offering a cool T shirt from their site, Yay! and Second Wexy Snack Bags is offering 3 boxes of their great snack bags, Wonderful! Must be 18, us only sorry friends. If you have won from this company in the past 90 days you may not participate, sorry sponsor rules. Winner must return winning email within 48 hours. Please give the RC a bit to load. You must only do one entry to be entered although the more entries, the higher your chances of winning! Good Luck! Disclaimer: Mom To Grandma, Andersons Angels, Joy Of Momma Joyner, and the Back 2 School Bash 2 bloggers are not responsible for sponsors that fail to fulfill their prizes. FB nor any other social network are any part of this. My summer has been very long and lazy with my 2 fave little boys, just enjoying life and summer!!! My summer has been great. I love the kids being around all day! Thanks so much for the fantastic giveaway! Nothing much to tell. I have been sick all summer and now I have a torn right rotor cuff that will require surgery so it's been a bummer of a summer! We've been having a busy summer - swimming, trips to the zoo, visiting the playground. My summer has been pretty good.We are getting ready to take a small vacation this coming week before school starts back. Was one of my best summers ever! Started off a little slow but in June I received the best gift I could ever ask for.... A grand daughter! I have been oh so blessed! being laid off all summer I didn't have the money to travel anywhere, so stayed home, had a few BBQ's with the neighbors and cleaned house! My summer has been okay. Just stayed at home, relaxed, read books that I have been meaning to read and spent time with my son. 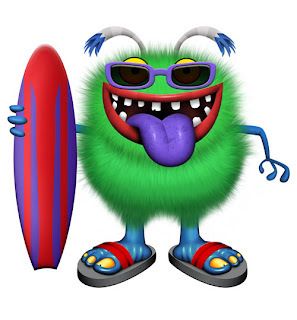 How has your summer been? I retired the end of June. We have been staining our house ever since, but I love it that I'm my own boss. My family had a very hot/rainy summer,My kids are back in school already. It has been a rainy cool summer here in KC, MO. I like that it hasn't been too hot! We moved to a new house in July. Summer has been fun. All my nieces and nephew came and stayed for a few weeks. It was hard work but fun. My summer has been okay. I've spent most of it indoors. I'm not a big summer person.